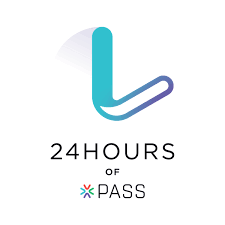 Posts Tagged "24 Hours of PASS"
Thank you to all who attended my session on “Passive Security for Hostile Environments” back on the 3rd of this month. I consider it an honor to be part of such a wonderful lineup. I just received my evaluations and comments, and am very happy to report that the results were extremely positive. Thank you very much to the people who took the time to rate my presentation and offer feedback, which I will include at the end of this post. I was also very surprised to hear that my session had 193 attendees, which puts it in the top five in terms of attendance – wow! If you weren’t able to attend but would like to check it out, a recording is now available. My slide deck is available for download on the 24 Hours of PASS site. Demo scripts and other resources are available here. Sessions were evaluated based on four questions, and I received 78 total responses. How would you rate this session overall? 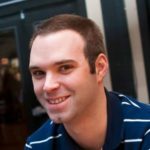 How would you rate the speakers’ presentation skills? How would you rate the speakers’ knowledge of the subject? Did you learn what you expected to learn from this session? excellent demos and real deep dive into the details of each area he covered. Your demo scenarios were very effective in showing the strengths and weaknesses of each option. Well done. Great presentation. Good demos – be great to get a copy of the scripts. I had a lot of familiarity with DDL/DML triggers and Event Notifications. There were some new aspects you showed that I had not considered. Impersonation, for instance. Policy based management is something I haven’t used, but have read about. The session helped reinforce what I’ve learned in the past. Slide decks are great. But I prefer live demos and the code. You had a good, complementary mix of both. Wow, this was incredibly good! So well organized. You covered a lot of territory. Very clear explanations and demos, great pace for a webinar. Packed full of useful examples for real projects. Thank you! This post is syndicated from BobPusateri.com. Our very own Microsoft Certified Master Bob Pusateri presented last week for this year’s 24 Hours of PASS Data Security and Quality webinar series a new session entitled “Passive Security for Hostile Environments“. The slides have been uploaded to the PASS site here. The recordings should be online soon at PASS’s learning center site.